QUITO, Ecuador – Ecuadorean police say they’ve arrested a Mexican man for trying to smuggle 11 iguanas – an endangered species – from the Galapagos islands. Police Capt. 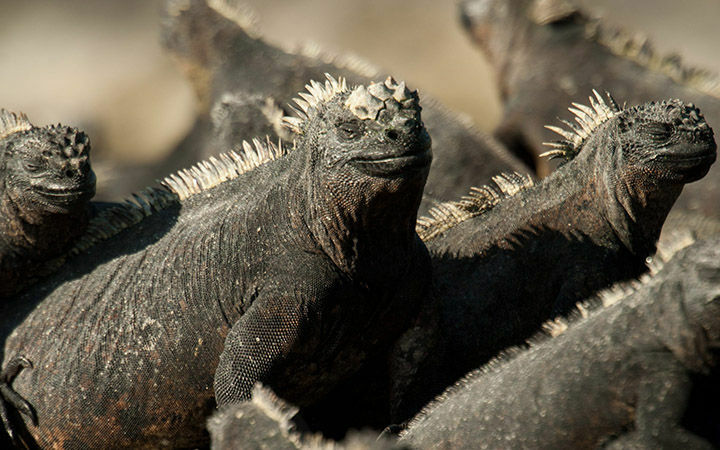 William Herrera told Ecuavisa TV on Monday that the man was trying to ship nine marine iguana babies and two juvenile land iguanas by air to the mainland with Uganda as the ultimate destination. Officials say each iguana could fetch up to $25,000 on the black market. They said the man was arrested over the weekend and belonged to an international trafficking ring. They identified him only as Gustavo T.
In Ecuador, trafficking in endangered fauna is punishable by 1-2 years in prison. The Galapagos have a unique collection of wildlife whose isolation helped naturalist Charles Darwin validate his theory of evolution.